Microsoft Office 2011 – Should you upgrade? Licensing Gotchas! This summer I was invited to a Microsoft Office for Mac 2011 Enterprise Road Show where I was privy an early look at what the world will be able to see when Office 2011 goes on sale October 26th. 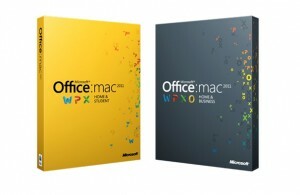 After I get my hands on the product I will be able to properly give my review of Office 2011. But here I want to highlight the new licensing gotchas that will most likely infuriate you. So if you’re use to Entourage on the Mac (or Outlook on a PC) and want to use a Microsoft product for email, then you’ve got to buy one of the Home & Business editions. If you’re willing to stick with Apple’s Mail program (or Mozilla’s Thunderbird) then you can buy the Home & Student edition. But beware, unlike previous versions, Microsoft Office 2011 validates each product key and locks it to a single computer. Microsoft has done this in order to protect itself against piracy. The problem is, the change will heavily impact legitimate Office users. Do you work on a desktop computer at the office, but use a laptop when you’re traveling? Previously, you could install Office on both your systems and then move freely from one to the other, as long as you didn’t use both at the same time. With Office 2011, however, a single-license version of the suite will only work on a single computer. If you have two systems and want to run Office 2011 on both, you’ll have to fork over an extra $80 (for the Home and Business Multi-Pack) or $30 (for the Home and Student Family-Pack). So before you decide which version of Office 2011 to buy, consider how you’ll use the suite—and factor in the extra cost accordingly!